Played high-school at Bonneville HS, Ogden, Utah. Played college basketball at Boise State University (1989-93). Selected in the 1993 CBA Draft by Grand Rapids (#76). Moved to Italy for the 1993-94 season, signed by Pallacanestro Virtus Roma. Moved to Spain on February '94, signed by Lugo. Moved to Turkey for the 1994-95 season, signed by Ulker Spor Kulubu Istanbul. Moved to France for the 1995-96 season, signed by Besancon BC. Back to Spain for the 1996-97 season, signed by Joventut Badalona. Signed for the 1998-99 season by Real Madrid CF. Signed for the 1999-00 season by Valencia BC. During the 2000 Summer played with Cocodrilos de Caracas (Venezuela). Moved again to Turkey for the 2000-01 season, signed by Fenerbahce Spor Kulubu Istanbul. Back to Spain for the 2001-02 season, signed by Joventut Badalona. Moved to Russia for the 2002-03 season, signed by Lokomotiv Mineralnye Vody. Moved to Lithuania, on January '03, signed by BC Zalgiris Kaunas. Named the 2002-03 Euroleague Week-12 MVP. Named the 2003-04 Euroleague Week-10 MVP. Named the 2004-05 Euroleague Week-2 and 13 MVP. Named the 2006-07 Euroleague Week-11 MVP. Led the 2004-05 Euroleague in rebounding (10.6 rpg.). Won the 1994-95 Turkish National Championship with Ulker Sports Club Istanbul. Won the 1997 Spanish National Cup (King's Cup) with Joventut Badalona. Played the 1996, 1997, 1998 and 2002 Spanish All Star Game. Played the 1998 and 2000 EuroStars Game. Played the 2003, 2004, 2005, 2006 and 2007 Lithuanian All Star Game. Named the 2005 Lithuanian All Star Game MVP. Played the 2006 and 2007 Baltic League All Star Game. Named the 2007 Balltic League All Star Game MVP. Named to the 1990-91, 1991-92 and 1992-93 BSC 1st Team. Named the 1998-99 and 2001-02 Spanish League MVP. Named the 2003-04 Lithuanian League MVP. Led the 1995-96 French League in scoring (26.0 ppg.) and rebounding (14.3 rpg.). Led the 1998-99 Spanish League in rebounding (9.56 rpg.). Led the 1999-00 Spanish League in rebounding (10.41 rpg.). Led the 2000-01 Turkish League in rebounding (12.9 rpg). Led the 2001-02 Spanish League in rebounding (10.97 rpg.). Led the 2003-04 Lithuanian League in field goal percentage (63,7%). 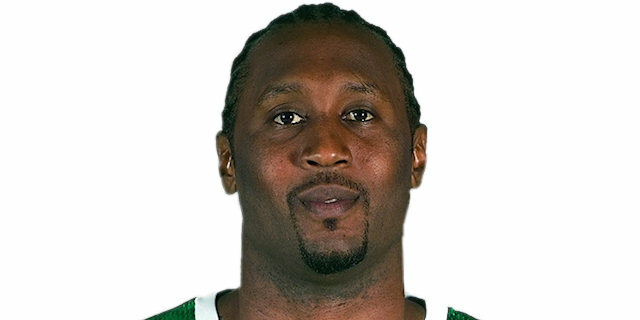 Led the 2004-05 Lithuanian League in rebounding (10.6 rpg.). Led the 2006-07 Lithuanian League in 2-pts. shooting percentage (69.2 %).